An array’s Queue Depth in its most basic terms is the physical limit of exchanges that can be open on a storage port at any one time. The Queue Depth setting on the HBA will specify how many exchanges can be sent to a LUN at one time. Generally most VM Admins leave their Queue Depth settings at the manufacturer’s default with only the requirement to facilitate a small number of I/O intensive VMs/servers leading them to make an increase. The risk with changing or in fact not changing Queue Depths to their optimum can have severe detrimental effects on performance where any outstanding I/O queuing can cause bottlenecks. For example if Queue Depth settings are set too high the Storage ports will quickly become overrun or congested leading to poor application and VM performance or even worse data corruption or loss. Alternatively if Queue Depth settings are set too low, the Storage ports become underutilized thus leading to poor SAN efficiency. On the other hand should the Queue Depth be correctly optimized, performance of VMs and their corresponding LUNs can be vastly improved, hence the requirement for a methodology to accurately determine this is an imperative. 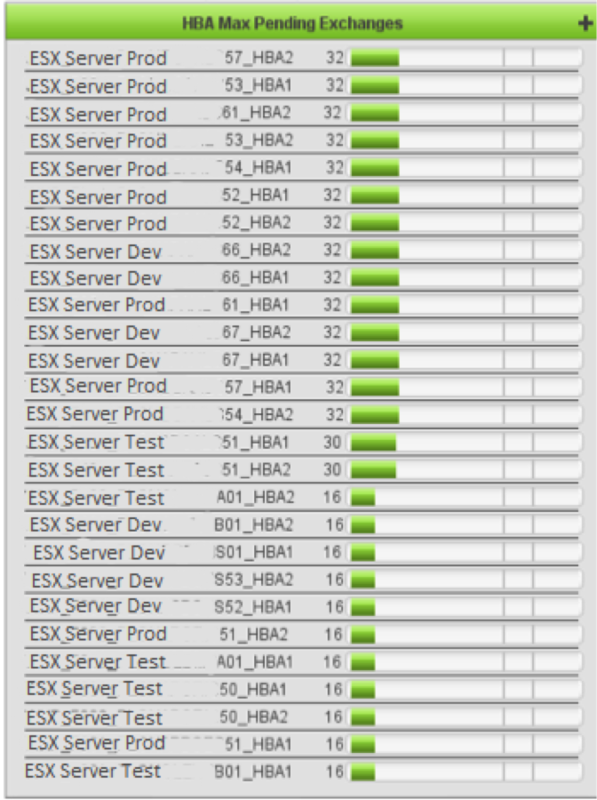 Generally VM Admins use esxtop to check for I/O Queue Depths and latency with the QUED column showing the queuing levels. With VirtualWisdom though, end users are now empowered with the only platform that can measure real-time aggregated queue depth regardless of storage vendor or device i.e. in a comprehensive manner that takes into consideration the whole process from Initiator to Target to LUN. 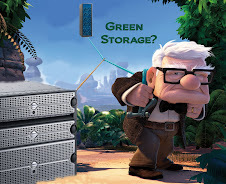 VirtualWisdom’s unique ability to do this ensures accurately that storage ports are optimized for maximum application health, performance, and SAN efficiency. 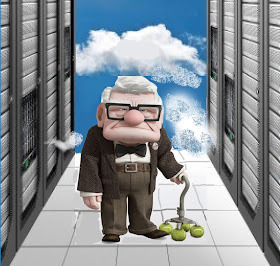 So to begin with it is important to prevent the storage port from being over-run by considering both the number of servers that are connected to it as well as the number of LUNs it has available. By knowing the number of exchanges that are pending at any one time it is possible to manage the storage Queue Depths. 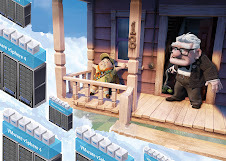 In order to properly manage the storage Queue Depths one must consider both the configuration settings at the host bus adapter (HBA) in a server and the physical limits on the storage arrays. 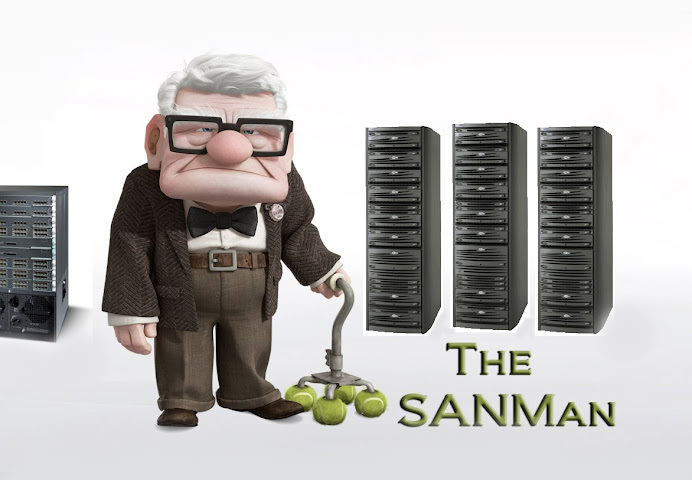 It is important to determine what the Queue Depth limits are for each storage array. All of the HBAs that access a storage port must be configured with this limit in mind. Some HBA vendors allow setting HBA and LUN level Queue Depths, while some allow HBA level setting only. The default value for the HBA can vary a great deal by manufacturer and version and are often set higher than what is optimal for most environments. If you set the queue depths too low on the HBA it could significantly impair the HBA’s performance and lead to under utilization of the capacity on the storage port (i.e. underutilizing storage resources). This occurs both because the network will be underutilized and the storage system will not be able to take advantage of its caching and serialization algorithms that greatly improve performance. Queue Depth settings on HBAs can also be used to throttle servers so that the most critical servers are allowed greater access to the necessary storage and network bandwidth. 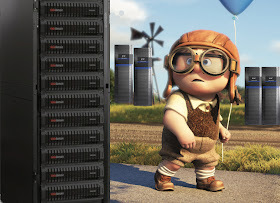 To deal with this the initial step should be to baseline the Virtual environment to determine which servers already have their optimal settings and which ones are either set too high or too low. Using VirtualWisdom real time Queue Depth utilization can be reported for a given period. Such a report will show all of the initiators and the maximum queue depths that were recorded during the recording period. This table can be used as a method to compare the settings on the servers to the relative values of the applications that they support. The systems that are most critical should be set to higher Queue Depths than those that are less critical, however Queue Depth settings should still be within the vendor specified range. Unless Storage ports have been dedicated to a server, VirtualWisdom often shows that optimum Queue Depth settings should be between the ranges of 2-8, despite industry defaults tending to be between 32-256. To explain this further, VirtualWisdom can drill off a report that can show in descending order the Maximum Pending Exchanges and their corresponding initiators and server names. The Maximum Pending Exchanges are not only the maximum number of exchanges pending during the interval being recorded but also the exchanges that were opened in previous intervals that have not yet closed. So for example if a report such as this was produced for 100 ESX servers it’s important to consider whether your top initiators are hosting your highest priority applications and whether your initiators with low queue depth settings are hosting your lowest priority applications. Once the appropriate Queue Depth settings have been determined, an alarm can be created for any new HBAs that are added to the environment, especially any HBA that violates the assigned Queue Depth policy. Once this is established the VirtualWisdom dashboard can be then be used to ensure that the combined Pending Exchanges from all of the HBAs are well balanced across the array and SAN fabric. In A World Where Data Remains Exponential ..... 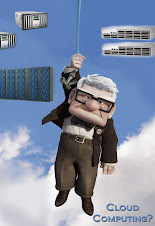 Cloud, SAN, NAS, Back Up / Recovery & Virtualisation Specialist. The thoughts, comments, views and opinions expressed in this blog are entirely my own and not those of the company I work for. Content published here is not read or approved in advance by my employer and does not necessarily reflect the views and opinions of the company I work for. CRC Errors, Code Violation Errors, Class 3 Discards & Loss of Sync - Why Storage isn't Always to Blame! 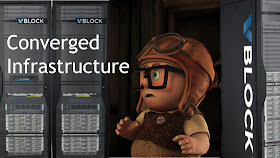 Vblock, VSPEX, FlexPod, PureSystems, CloudSystem Matrix...Converged Infrastructure or Reference Architectures? 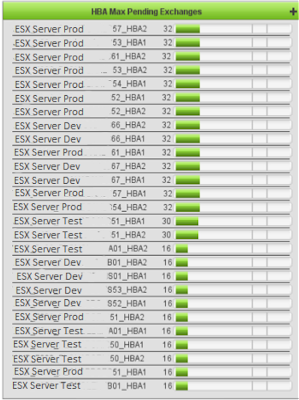 vSphere 6.0 - What's Needed? Are You Making the Most of Your FC SAN?